What Are Some of Texas' Top Tourist Attractions? Find Them Here! Plan your next big event at one of the best locations in TX! Are you planning a wedding, reception, anniversary party, company retreat or reunion? 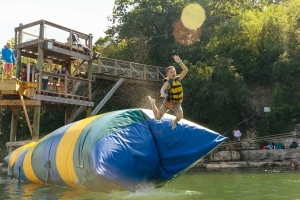 Everything's bigger in Texas - including our selection of unique event venues. Some of our favorite tourist locations in Texas make use of the spectacular countryside you can't find anywhere else. 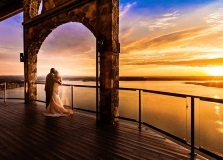 If you're looking for an interesting, scenic place for that special event you can find locations from the Gulf Coast to the Hill Country. And of course, you can always find something that's a little different in Austin. 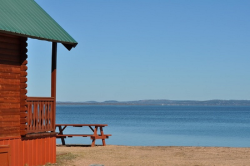 You can reserve a variety of Texas facilities that offer everything from full-service assistance with an event to do-it-yourself sites. 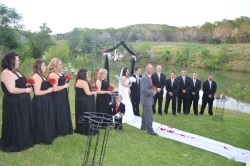 Many event locations in Texas can accommodate groups of all sizes, and some also offer overnight rentals. People from all over the country choose to host special events in Texas. The hospitality, diverse landscape and abundance of activities make it a destination visitors won't soon forget. Search by city to learn where to find tourist locations in Texas. Do you know about a Web Site that belongs on Touring Texas?